Whoever calls his own blog “derultimativekochblog” (meaning “theultimatecookblog”) must either be a megalomaniac or have a great sense of self-deprecating humor. Anna and Holger definitely fall into the latter category; they communicate their great passion for cooking and baking with a wink. Why you should follow them: From healthy to indulgent, Japanese to Italian, you’ll find plenty of diverse options on the blog they’ve run since 2012. Their food philosophy is “pleasure addiction meets environmental awareness,” and, as such, their plates are filled with lots of fresh, regional food. 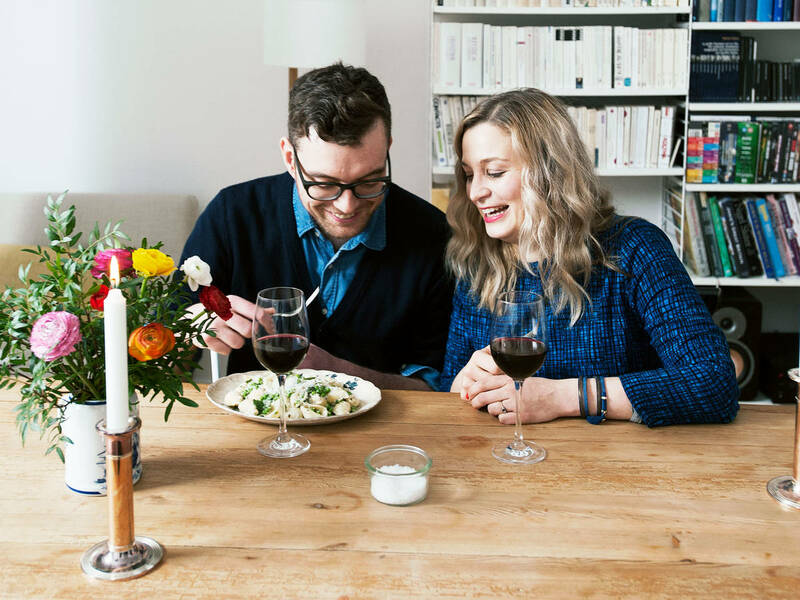 Their approach: Inspired by friends, family, Instagram, cookbooks, and other food blogs, Holger and Anna develop most of their recipes on a whim. Anna is head of writing, Holger, photos. Once they have an idea, they go out shopping, look for fresh, organic, and regional ingredients, then go back to their kitchen and start cooking. What you’ll always find in their kitchen: onions, garlic, lemons, lentils, and avocados, as well as high-quality olive oil, white balsamic vinegar, Maldon sea salt, eggs, Parmesan, and Feta—needless to say, it’s always a pretty well-stocked kitchen. Recipes like these can also be found in their diary-style cookbook "Mampf—Ein Jahr, ein Paar, ein Topf" (meaning “Munchies—a year, a couple, a pot”), which includes 101 recipes.